Who doesn't love chocolates? 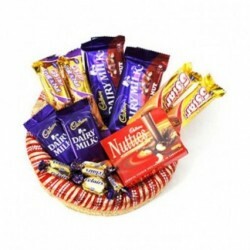 The charm of chocolates is enticing. This friendship day, add sweetness to your friendship by sending delectable chocolates to your buddies from our handcrafted collection. 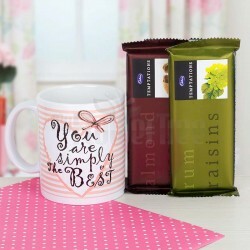 Buy and send delicious chocolates to your friends and make the day all the more special for them. Friends are not random people you happen to meet and like, they are the luxuries that you earn in life. With a friend by your side, you know you can see out the most testing of times. Friends, even though not related to you by blood, can go to extreme lengths to do everything they can for you. They care for you, support you, guide you; at times they'll even mock you but they will never abandon you. Therein lies the essence of celebrating Friendship Day every year, and do it with all your heart, and with apt gifts for them. 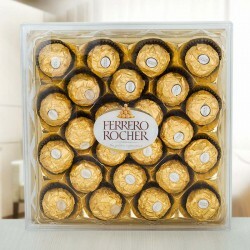 And what better gifts for best friends can there be than boxes of rich, authentic chocolates. Why tell your feelings when you can convey them in a captivating yet irresistible way? Everybody loves them! 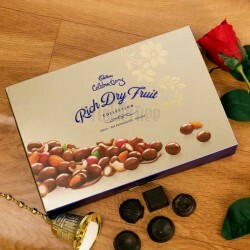 - Yes, first and foremost reason for selecting chocolates for friendship day is because everyone, no matter how young or how old, simply loves them. The charm of chocolates is enticing, and the feel of a rich, cream-filled chocolate piece melting in the mouth is heavenly. 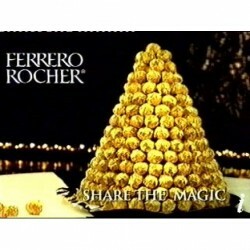 In fact, if chocolate were to be a celebrity, it will have more fans in the world than most celebrities! They are easily available ' Chocolates are prepared, marketed and consumed in almost all parts of the world. Thanks to its ubiquity, finding a friendship chocolate is no rocket science either. They are luxurious ' This perhaps is one of the most widely known facts about chocolates. They have served as upmarket and indulgent gifts for ages. 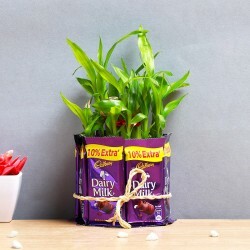 Chocolates are not utilitarian items and this is what makes them even more interesting. 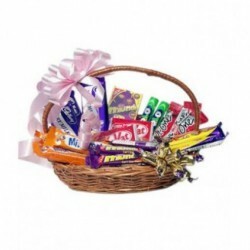 The entire though behind gifting chocolates is to make the recipient happy. 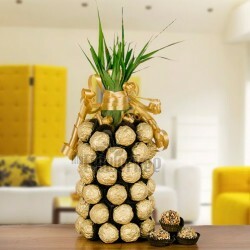 A well-packed, artfully made box of chocolates depicts sophistication and class. Chocolates are healthy ' This may sound unusual but is true. Chocolates greatly benefit your cardiovascular health and help avoid heart risks. 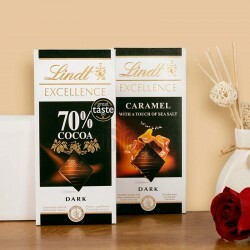 Dark chocolates help manage weight due to the satiating effect they have when consumed. Chocolates help uplift moods and manage stress. Chocolates can therefore benefit a person better than ice-cream, in a heart-broken state. Cocoa rich chocolates contain flavanols that improve blood flow in the more vital parts of the brain, thus making you alert. 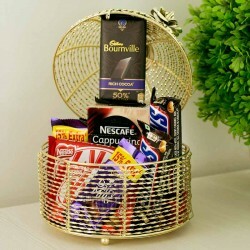 Whether it is gratitude, care, good wishes or love, say it all to your friends with our special friendship chocolate hampers. 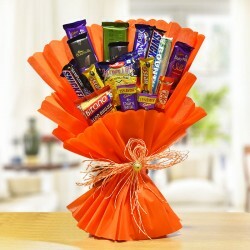 At MyFlowerTree, you can find a range of fresh, home-made and branded chocolates for friendship day to choose from. We not only bring top domestic and international brands of chocolates, but all our homemade products too have been made using top quality ingredients. 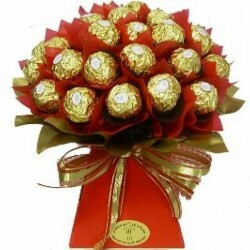 My Flower Tree is your one stop online shop to send chocolates, flowers, gifts, cards, and cakes online. 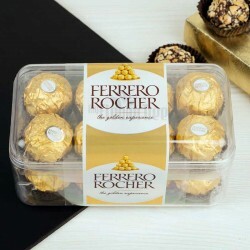 Considering that friends are the family you choose for yourself, we offer a wide assortment of friendship day chocolates wherein you'll find a box of chocolates for every person. 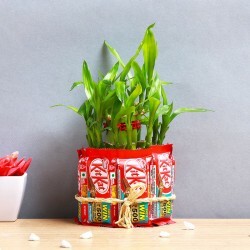 To add richness and elegance to your gifts, we also offer a range of interesting combos consisting of teddy bears, flowers, scented candles, friendship day cards, friendship bands along with the chocolates. 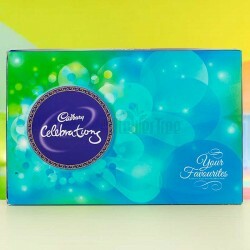 Operating in 408 cities within India, we make friendship day chocolates delivery in numerous places within the country. 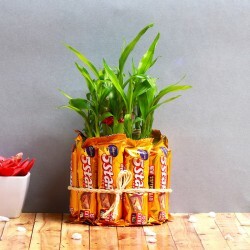 Order a chocolate delivery in Delhi, Bangalore or Chennai, and let your old friend know how much you miss and adore him/her. We have made a name for ourselves when it comes to making fixed time delivery; we ensure to get your gift to your friend at the right time, the right moment, always! Products in this category have been rated 4.9 out of 5 based on 101 reviews.